A few months ago my sister booked a makeup lesson for her and her friends and I was asked to be the model. The makeup artist doing the class is a family friend so when she bought over her humongous collection I had to have a snoop and while browsing through I came across this eye shadow palette. The bright gorgeous colours stood out at me straight away so I swatched a few and couldn't believe the pigmentation! So a few months passed and when my birthday arrived I opened a present from my mum and dad and guess what it was?? THIS PALETTE!!! Excited much?? Ha! As this was a present and I think my mum got it from America I am unsure of the price. I did Google the palette and eBay and Amazon sell similar ones. This Miss Rose palette is a 40 colour palette that can be used wet or dry and I would say are almost pressed pigments as opposed to eye shadows. As soon as you swipe your brush over them they are thick, pigmented and creamy. There is a little fall out with these but it is not a chalky fall out so easily wiped away. This palette contains no matte colours, only shimmer. When I started swatching I only did the colours that I thought I would personally use in an eye look and then I ended up almost swatching them all, 30 out of 40 to be exact whoops! All the swatches are dry. Today I created a few looks using this palette with the help of my naked palette for a matte crease colour. 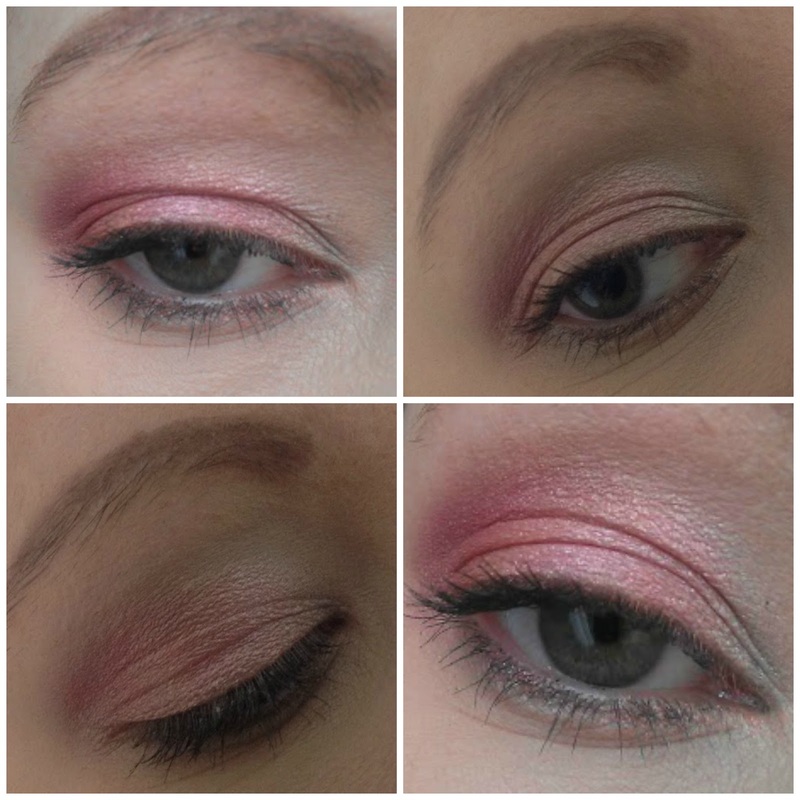 I am going on holiday tomorrow and we have 2 theme nights, army and hula girl so my makeup looks are inspired by that and thought I would have a little practice so I have an idea of what to do and put my new palette to the test! Since my first theme will be army then I thought a green and brown eye would be best. 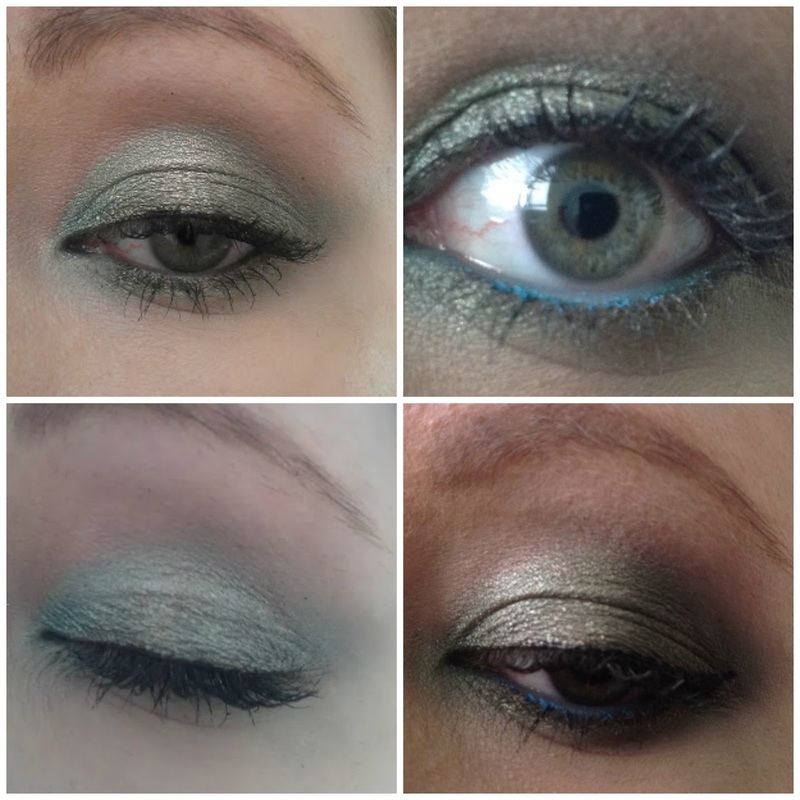 There are actually a few gorgeous greens in this palette, a colour I never wear but after having a play today I really like it and will be trying to use green a lot more. My camera doesn't do these looks justice, in person they are a lot more bright and defined. For a bit more of a pop of colour I added an urban decay 24/7 eyeshadow stick in clash to my bottom waterline. This is a possibility for my hula girl look. I used a light almost white shade in the inner corner, middle of the eye I used a mixture of the orange coral shades and outer part I used one of the gorgeous raspberry shades. Love this look and maybe on holiday I will add a lilac in there for a more rainbow look. I had fun creating some new looks with colours that I wouldn't normally use. Can't wait to create more!